It’s another week with more headlines about the fact that the ACT has some of the highest rents in Australia, and some of the worst rates of youth homelessness in Australia. While it is important to explore new ideas around how we can respond to the affordability crisis, we sometimes forget to focus the importance of some of our tried and tested approaches – particularly the provision of public housing. Public housing has historically been a cornerstone of our response to affordable housing. The importance of government investing housing stock and protecting those on low incomes by capping the rent at 25% of income, rather than at the level of market rent, cannot be understated and is the only way that many families on the lowest incomes can afford a roof over their heads. It is a proven program that is operated by all Governments across Australia, and the subject of agreements between the Federal Government and state and territory governments. Over the last decade there has been a real shift in how public housing is managed in the Territory without a lot of discussion about the reasons for this, or implications of this change. This has included changes to how much public housing stock is built, how it is allocated, how it is funded and how the complex task of managing expensive capital assets has been managed. Given where we are now at in relation to housing affordability in Canberra, maybe it’s time to analyse the impact of our current approach to public housing, and reflect on whether or not we can create a different future where everyone in the ACT has access to a safe and affordable house. I was pretty shocked to learn how rapidly we have seen the decline in the proportion of public housing stock being built in comparison to private housing in this city. This was recently highlighted in the ACT Legislative Assembly as part of a motion brought forward Greens MLA Caroline Le Couteur. She highlighted that while public housing accounted for about 12% of total stock in 1991, it is now just 7.1%. And the future doesn’t look rosy, with the recently announced affordable housing targets for 2017/2018 committing to ensuring a mere 3.5% of new housing would be allocated to public housing. While the Government has assured the community that numbers of properties have remained stable over the last period, Government reports note a decline of 387 properties in 2017 from the number in 2011. This is all against a backdrop of a shift from a situation where public housing was a pretty normal housing tenure for people across the social spectrum to one that is highly targeted. This is a big change given that in Canberra, access to affordable housing was historically seen as a key element of supporting this growing city and this mixed tenancy model meant that there was a proportion of market renters that were able to supplement income for ACT Housing and offset the low rents being provided by those with the very lowest incomes. Now public housing is very much the landlord of last resort. We currently outstrip every other jurisdiction in relation to targeting public housing, with 99% of allocations going to those people with the greatest needs. Even with this targeting, it’s going to take you a long time to get public housing if you are in desperate need. If you are assessed as eligible on the priority list – that is homeless, leaving a domestic violence situation, a family with complex needs, suffering a disability or chronic illness, it will take almost a year (average of 346 days) to get housed. If you are ‘high needs’, you are likely to need to wait almost two years (or 638 days). Others will wait for an average of more than two and a half years (972 days). A key reason for this shift is because there has been such an increase in local households who are in severe housing stress. In addition to a decrease in public housing numbers, this has come about because of a perfect storm of skyrocketing private rental costs, increases across a wide range of other living costs (such as energy) and the fact that wages are not keeping pace with these large increases. If you are dependent on a government pension or allowance, the Anglicare Rental Affordable Snapshot released each year found there are virtually no accommodation that is affordable in the private market. This has real-life consequences. While the last census information found our homelessness rate had dropped, homelessness and housing stress is still real for many Canberrans. It found that just over 40 people in every 10,000 people in the ACT reported being homeless. While this is down from 48.7 people in 2011, this is still significantly higher than the ACT homelessness rates reported in 2001 (30.4) and 2006 (29.3). 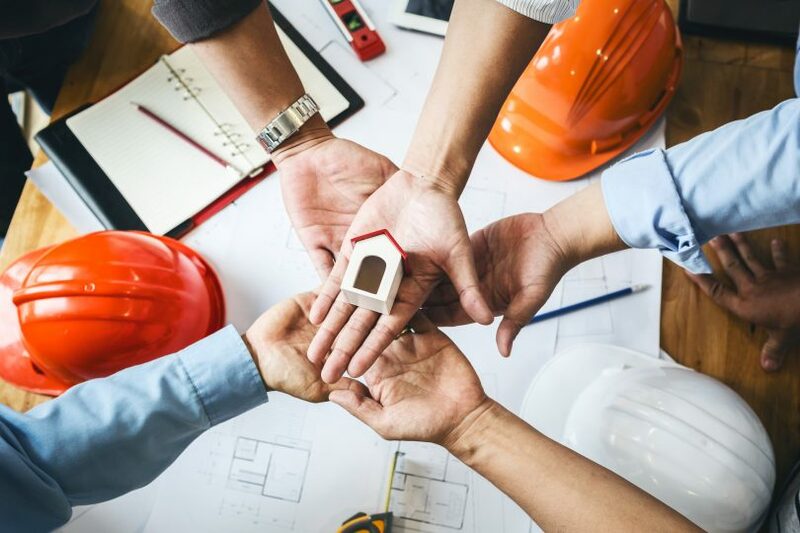 There is no doubt that ACT Government has some big challenges in managing public housing stock – particularly around renewing its aging properties and it should be recognised for the investment that it has made in the renewal program. There is however a real question as to whether or not we are investing enough to ensure that we have an adequate amount of housing stock to ensure that all our residents are able to put a roof over their heads. It is vital that at the very least we continue to invest in a decent amount of social housing, including both public housing and housing managed community-based organisations to ensure that we don’t slide further backwards. I think it is time to invest more heavily in providing public housing so everyone has a place to call home. What do you think? 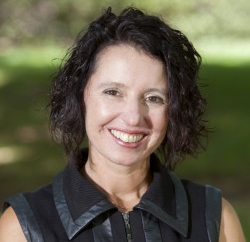 Rebecca Vassarotti is a board director of CHC Affordable Housing (a community housing provider) and a member of the management committee of the Early Morning Centre – a homelessness service provider. She is also an active member of the ACT Greens who ran in the 2016 Territory election. Whilst I don’t think it is practical to make the level of changes to negative gearing that some political parties espouse. I do think there needs to be a targeting of Negative Gearing benefits to low rent housing (not units) in the outer suburbs of cities where many of the working poor live and go to school etc. Why should a property owner get more tax and land tax/rates benefits to negative gear a 2 million dollar townhouse in Kingston with high growth in property values in comparison to a small 3 bedroom house on a large block in the deep south of Tuggeranong? The flow on effects of these policies also negatively impact on school populations, amenities and services across Canberra. The opposite should happen, the government should own a miniscule amount of public housing to provide for the tiny minority of people not suitable for private renting. Everyone else should receive rental assistance to aid them is seeking long term housing, the government actually exacerbates the problems in this area by being too heavily involved. It’s called ethics, chewy14. “The opposite should happen, the government should own a miniscule amount of public housing to provide for the tiny minority of people not suitable for private renting.” You’re forgetting the fact that low-income people, e.g. Newstarters, can’t afford private housing and there’s a large number of these people. So where do they fit in to your equation? They still need housing, so where do they find housing? Or did you mean that ‘rental assistance’ should support them finding a place in the private housing market? I don’t think Rental assistance provides enough funds to enter private housing even short-term. Is this something you have experienced? Can't afford emergency housing for families. We desperately needed to buy a Tram. I would support a mass protest of the plight of these people by encouraging them to set up tents in front of (old) Parliament House. It is already tolerated so they would have no fear of eviction. No rent to pay either. It’s done in many other cities. Anyone who has anything to do with ACT Housing knows how dysfunctional they are. Given your public musings about ACT policy failures in the public housing space, here’s a straight-up question for you Rebecca: What is your opinion on Shane Rattenbury supporting the ACT Govt calling in the concessional loan to CHC? His spokesman tried to justify this weird decision by claiming it will provide CHC with “flexibility” but when the journo asked just what ‘flexibility’ meant, he claimed cabinet in confidence. So Rattenbury is actually contributing to the double disadvantage disaster (poor AND homeless). I’ve called you out on more than one occasion for, in my view, failing to rightly criticize Rattenbury. I’m veeerrrrry keen to hear what you think about this. Hi A_Cog. As noted at the end of this article, I am on the Board of CHC Affordable Housing. I am involved in CHC as I am passionate about the role that community organisations can play, and incredibly proud of the work that CHC has done in delivering both affordable rental properties and affordable homes for sale in the ACT over many years. As you note, there has been recent public discussions around the agreement with the government which has not been generated by the organisation and our CEO is authorised to make public comment on this issue. While I am not able to make a comment on the particular issue you reference, I will note that from an individual perspective, I am on the record in saying that I think that ACT Government needs to do more to translate their statements around affordability into action. I am hopeful that as they consider options and partnerships, they go further than they have to date in demonstrating this commitment. Hi Rebecca, while I understand you are not authorised to make statements on the ACT concessional loan, are you able to confirm that CHC is looking at a Federally backed NHIFC bond issuance as an alternative source of low rate finance? Given the combination of CHC’s experience in delivering and managing properties, the tax concessions CHC receives as a not for profit, and what will effectively be an ‘uncapped’ source of very low cost finance through the NHIFC, then surely CHC (and other CHPs) should be stepping up to provide a much larger supply of affordable dwellings in Canberra? Hi bringontheevidence. There is really interesting work happening at the Federal level, particularly with initiatives such as the NHIFC. CHC is currently monitoring the opportunities that are emerging (as well as the risks), and taking advantage of Commonwealth initiatives will definitely part of the mix. CHC has accessed previous programs such as the NRAS scheme, and as this comes to an end, the planned new Commonwealth-government backed bond aggregator may provide some good new opportunities. So I gather the Greens have changed their view on Public Housing going to those with the greatest needs since the days of Deb Foskey, or do your views only apply to people who aren’t Greens MLAs? Hi Spiral. This is an interesting example. When Deb Foskey was allocated a public housing property over a decade ago, she was a single mother, was on a low-income and met the criteria. Like many people, her situation changed and improved over the ensuing period, and as a market renter, this market rent was factored into the business model for ACT Housing to maintain and replace its stock. While an elected member of the ACT Legislative Assembly, I understand she left this property and made arrangements in the private rental sector. I think it raises interesting issues around targeting but how we do this is a nuanced way. I am really interested in models that community housing providers in the UK provide, where people can stay in their home, but their tenancy can be changed – from a social housing tenant, to affordable housing tenant, to a market renter, depending on their changing situation. I understand that this occassionally happens in the ACT in relation to people who are in emergency or supported housing, and then are transferred into the public housing system but able to stay in the same home, but I think there are more opportunities to do this type of thing. This means we are able to ensure we are targeting, while recognising that we are not just talking about accommodation but people’s homes and lives. Stating that she left the property does not accurately describe the situation. She refused to leave as she claimed that having an above average wage for a four year contract was not sufficient stability for her to give up the property. It was public outcry that eventually forced her out. Surely there must have been people much more in need of that property than she was! Hi Spiral. Apologies for not mentioning the public discussion that accompanied the information that she was in a public housing property – I wasn’t involved in this debate at the time. As I noted in the article, there has been a shift in managing public housing as a mixed model to the landlord of last resort, and I think that this was the time where it was really brought into the public domain. In the hardship work I do, I think we are seeing a growing issue with people who’s income situation changes. They can have periods where they are working and earning quite good incomes, but can then go for long periods with no income. As I said in my last comment, I think there is opportunities for us to find tenure models that are able to adapt to people’s changing circumstances. As we see more people working in casualised industries, and as part of the ‘gig economy’, we are really seeing precarious income which leads to real challenges of managing housing costs in a market where private rental is so high. I don’t have all the answers by any means but its worth us thinking more about this group. Public housing should be for people who can’t afford private rentals. Once someone has been earning enough to pay for a private rental for say 6 months, they should move out or enter into an arrangement to buy the property within the next 6 months. The Deb Foskey debacle failed “The Pub Test” back then and still fails it today. It is always interesting to see the attitude of a new crop of Greens towards this situation and it seems apparent there has been no change. Didn’t it also come to light that Foskey co-owned a house in NSW that she hadn’t mentioned while crying “poor sole parent”?